Countries worldwide are currently facing challenging threat environments, in which terrorist groups are in constant search for new methods to cause panic, disruption and loss of lives and money. The use of chemical, biological, radiological and nuclear (CBRN) threat agents is typically low in frequency and probability, but it may be high in consequences, when the threat agents end up in the hands of well-trained and determined lone wolves, sympathizers or active members of terrorist groups. Furthermore, the recent war scenes have shown lately, that it is not only CBRN terrorism we are dealing with – not to forget the possibility for accidental CBRN releases either. 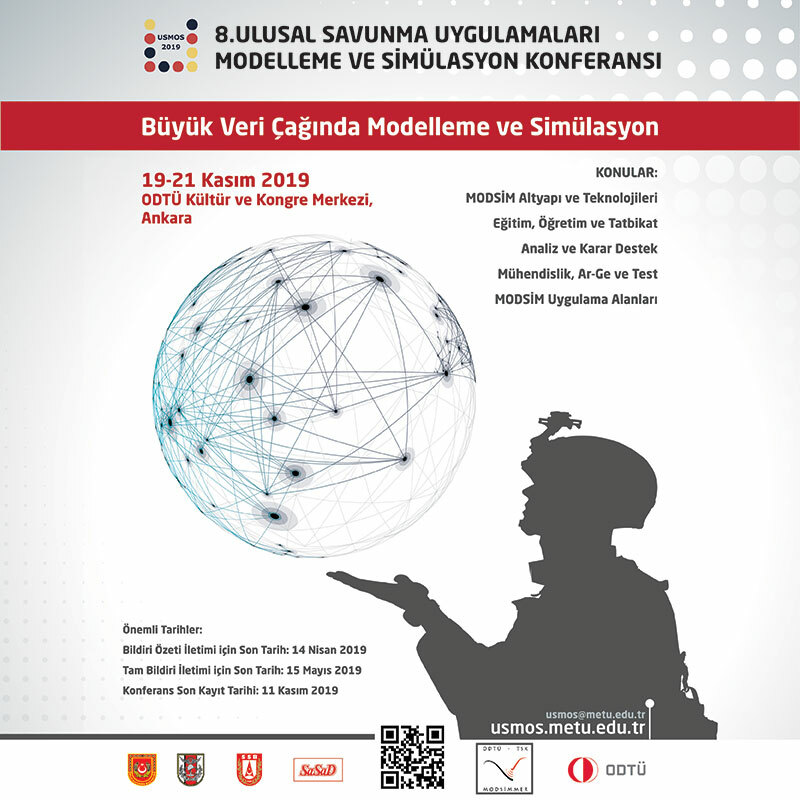 In peacetime and wartime missions, military forces may encounter employment of both traditional, unconventional and hybrid strategies to threaten the security of nations and societies. No matter if the threats emanate from other nations, non-state actors or accidents, military forces need improved protection and preparedness to detect and tackle CBRN threats at the early stage in a wide variety of physical environments such as in rural, littoral, mountainous, urbanized or industrial areas. Naval vessels and their crew are vulnerable to CBRN threats in their offshore, littoral and harbor related activities. The threats may take many forms: contaminated food, drink or other harmful supplies onboard, airborne biological line releases in the littoral waters or in a naval port facility or chemical releases in the beachfronts, for instance. They may incapacitate the whole fleet in the worst scenarios. On the other hand, CBRN Reconnaissance Vehicles operate often as tactical, on-site level land-based command centers and facilitate themselves versatile CBRN reconnaissance and survey tasks. The CBRN Reconnaissance Vehicles are capable of monitoring large areas such as industrial sites, airports, harbors, routes and zones, where on-foot recce teams cannot be employed. The typical tasks include reconnaissance missions to detect possible CBRN attacks or accidents and survey tasks to define the characteristics of a destination or the boundaries of the confirmed CBRN contamination or a decontaminated area. In addition, the vehicles enable collection of CBRN samples to be analyzed on site or in a laboratory. The capabilities of the vehicles may vary from simple CBRN detection, sample collection and area marking to more advanced CBRN identification. Understanding of CBRN threats, evaluating the vulnerabilities and considering the operational and instrumental needs for committing the intended missions is a good start on the road of getting prepared, but real assessment of the security measures and their effectiveness and implementation of reliable CBRN monitoring systems are the following essential steps. The needs for maintaining the selected CBRN instrumentation and competence of personnel by regular system and tactical trainings cannot be ignored either. Environics, a Finnish high technology company, has gained over 30 years of experience in the field of CBRN detection. In the course of time, the company has improved CBRN safety worldwide with its in-house technologies and system solutions. Different organizations from civil defense to homeland security and to the military in 50 countries have already selected Environics as their partner in CBRN threat detection. Nowadays Environics seeks for solid growth in CBRN System Business by focusing on application-based concept and product development and after sales services. Many of the success stories relate to naval CBRN monitoring and CBRN reconnaissance: among other CBRN monitoring applications, Environics designs and supplies EnviScreen CBRN Monitoring Systems to environmental survey vessels and military vessels from frigates to mine hunters and from light to armored CBRN reconnaissance vehicles. To date, over 100 naval CBRN systems installations have been implemented in co-operation with leading shipbuilding companies. In addition, Environics has installed successfully tens of CBRN monitoring systems for wheeled armored CBRN and light CBRN reconnaissance vehicles. Environics´ CBRN reconnaissance vehicle concept is chassis independent: the company provides its customers in the civil and military defense with scalable CBRN solutions on diverse vehicle chassis models according to customers´ requirements, acting either as an integrator or as a CBRN detector supplier or in combination of those. 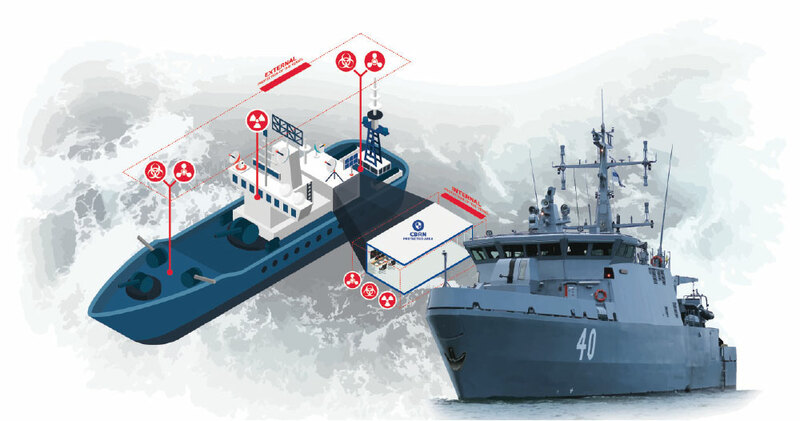 CBRN monitoring/detection, provisional identification, meteorological measurements, data processing, collective protection and decontamination are typical valued elements in naval vessels and CBRN reconnaissance vehicles. The modular structure of Environics´ EnviScreen CBRN Monitoring Systems enables delivery of cost-effective and easily expandable solutions according to customers’ existing and future needs. Environics builds its CBRN Monitoring concepts upon the general detection principles and recommendations for application related special equipment and systems. It aims 1) to protect the personnel from CBRN threats and their hazardous effects by giving fast response and early-warning 2) to provide situational awareness and guidance and 3) to enable further analysis and timely and correct countermeasures at the time of threats. Typical EnviScreen CBRN Monitoring Systems represent turnkey solutions that incorporate sensor integrations, data communication, databases, system services and user interfaces. In Environics concepts, CBRN releases are typically monitored from outdoor air and/or indoor air with respective field proven detectors – and some chemicals even from heated ground samples. Measurement and event data from the integrated sensors is collected and harmonized by data processing units and eventually visualized in real-time on the control center computers by the dedicated system software. The software provides a graphical user interface for sensor management and for displaying event and measurement data and end user specified, event related guidance for the operators. In addition to the fixed installations, Environics supplies CBRN capabilities in the form of hand-held and portable instrumentation for CBRN detection and identification needs, as well as other system supporting components, personal protective equipment and devices and tools for decontamination. 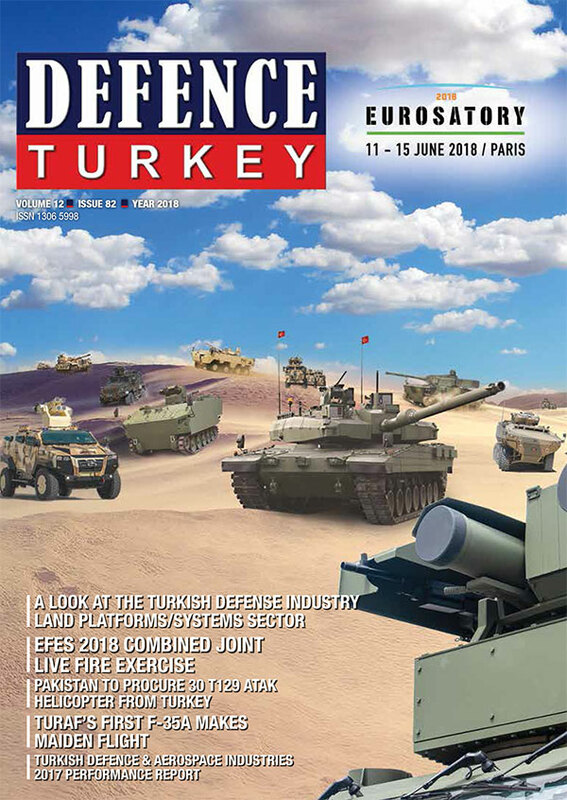 Demand for high quality, durability, tolerance and reliability in military operating environment has been taken into account by Environics in both its own application-based product development and selection of complementing products to guarantee uncompromised CBRN detection performance and completion of the intended missions. As a part of this approach, Environics has developed rugged, tested military grade device versions applying the core technologies – a Rugged ENVI BioScout for detection of potentially harmful bioaerosols, ChemProDM for chemical (CWAs/TICs) detection and a Rugged Master Module for data processing to be implemented in Naval CBRN Monitoring and Armored CBRN Reconnaissance. different system applications. They are intended to prevent effectively interfering dust entry and humidity condensation in the systems and to provide mechanical support and protection to the sampling lines. On top of the selected 3rd party solutions, Environics´ own product portfolio offers several complementing products to fixed installed CBRN monitoring systems: ChemPro100i Chemical Detectors with optional accessories of the CBRN kit, ENVI Assay System Gold rapid tests for provisional BWA identification and RanidPro200 backpacks and RanidPort portal solutions for radiation detection and identification. Maritime CBRN Monitoring relates also to other areas of applications provided by Environics. One of the latest military grade launches in Tactical Area CBRN monitoring – the EnVision GOSSAMER – can be adapted for temporary surveillance needs in the maritime context, e.g. in sea port facilities. Furthermore, the Border CBRN Monitoring Concept includes in-house solutions for screening of passengers, freight and trucks in sea ports. They are not only the physical system components that have been addressed in the R&D work in Environics: the system software, EnviScreen Operix, has been intensively developed and modernized to provide several new features for improving user experience by system operators. As a standard, EnviScreen Real-time Operation Tool acts as a graphical user interface for real-time situational overview and sensor management, while EnviScreen System Server provides CBRN event and measurement database and system services. However, optional software modules are available for expanding the capabilities beyond that. The versatile EnviScreen Operix provides real-time situational awareness simultaneously from multiple locations, CBRN reporting and hazard area plotting, integration of the CBRN Monitoring data to 3rd party systems like Ship Control and Automation Systems or Battle Management Systems, e.g. for shutting down ventilation and initiating CBRN filtration or comparable actions. As a practical solution for creating realistic training exercises, the EnviScreen Operix Simulation Tool meets the essential needs for regular trainings to improve and maintains operators´ skills and preparedness for CBRN incidents. EnviScreen CBRN monitoring systems are featured with low costs of ownership, but supplying of first class systems is useless, if they are not maintained operational and if there is no timely technical support and comprehensive user, maintenance and tactical training available in basic and advanced levels through the whole system life-cycle. Environics invests in the full life-cycle support to its customers of CBRN monitoring solutions and commits to optimizing the performance of the systems in order to meet the requirements of variable operating environments. According to its policy, Environics is present from the very first steps of identifying the customer needs and all the way through the design and delivery to the training, customer support and after sales services. Working in close co-operation with the customers is beneficial for both parties. Valuable customer feedback is given in the constant dialogue and technical and training support is readily available even in the situations, in which the operators of the system change due to frequent turnover of the crew. It is also a real advantage that the customers can rely on Environics as an experienced, single turnkey provider for the CBRN Monitoring systems. Mrs. Katja Kiukas, MSc, BBA, has gained over 10 years of application, business and technology-oriented expertise in the field of Bio Detection and CBRN Monitoring Systems for naval vessels, land vehicles, area monitoring and critical infrastructure protection. She works currently as a Product Manager for Bio Detection and CBRN Systems and as an Application Specialist for Building CBRN Monitoring in Environics Oy.